Издание: PGS Publishing, Linden Park, 2002 г., 11 стр. The Urals orogen represents the site of Palaeozoic oceanic crust creation and subsequently a zone of arc development, arc-continent collision, continent-continent collision and post-orogenic collapse. 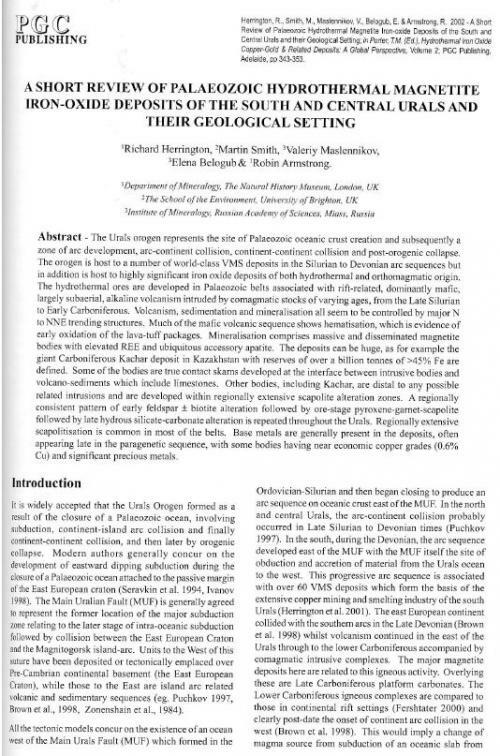 The orogen is host to a number of world-class VMS deposits in the Silurian to Devonian arc sequences but in addition is host to highly significant iron oxide deposits of both hydrothermal and orthomagmatic origin. The hydrothermal ores are developed in Palaeozoic belts associated with rift-related, dominantly mafic, largely subaerial, alkaline volcanism intruded by comagmatic stocks of varying ages, from the Late Silurian to Early Carboniferous. Volcanism, sedimentation and mineralisation all seem to be controlled by major N to NNE trending structures. Much of the mafic volcanic sequence shows hematisation, which is evidence of early oxidation of the lava-tuff packages. Mineralisation comprises massive and disseminated magnetite bodies with elevated REE and ubiquitous accessory apatite. The deposits can be huge, as for example the giant Carboniferous Kachar deposit in Kazakhstan with reserves of over a billion tonnes of >45% Fe are defined. Some of the bodies are true contact skarns developed at the interface between intrusive bodies and volcano-sediments which include limestones. Other bodies, including Kachar, are distal to any possible related intrusions and are developed within regionally extensive scapolite alteration zones. A regionally consistent pattern of early feldspar ± biotite alteration followed by ore-stage pyroxene-garnet-scapolite followed by late hydrous silicate-carbonate alteration is repeated throughout the Urals. Regionally extensive scapolitisation is common in most of the belts. Base metals are generally present in the deposits, often appearing late in the paragenetic sequence, with some bodies having near economic copper grades (0.6% Cu) and significant precious metals. Издание: PGS Publishing, Linden Park, 2005 г., 18 стр. Two Himalayan porphyry copper-molybdenum-gold belts have been developed in the eastern part of the Himalayan-Tibet orogenic zone related to the collision between the Indian and Asian Plates. Both were accompanied by the emplacement of high-level intracontinental, alkali-rich, potassic felsic magmas which produced a huge Cenozoic belt of potassic igneous rock. The emplacement of these magmas was controlled by large-scale strike-slip fault systems, orientated roughly orthogonal to the of the Indo-Asian continental convergence, which adjusted the collisional strain. 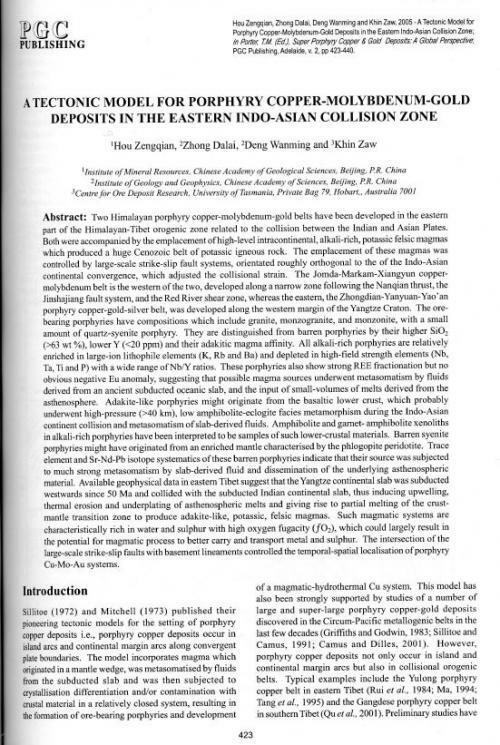 The Jomda-Markam-Xiangyun copper-molybdenum belt is the western of the two, developed along a narrow zone following the Nanqian thrust, the Jinshajiang fault system, and the Red River shear zone, whereas the eastern, the Zhongdian-Yanyuan-Yao'an porphyry copper-gold-silver belt, was developed along the western margin of the Yangtze Craton. The ore-bearing porphyries have compositions which include granite, monzogranite, and monzonite, with a small amount of quartz-syenite porphyry. They are distinguished from barren porphyries by their higher Si02 (>63 wt %), lower Y (<20 ppm) and their adakitic magma affinity. All alkali-rich porphyries are relatively enriched in large-ion lithophile elements (K, Rb and Ba) and depleted in high-field strength elements (Nb, Ta, Ti and P) with a wide range of Nb/Y ratios. 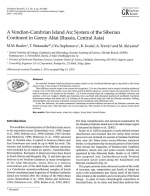 Автор(ы): Akiyama M., Buslov M.M., Iwata K., Saphonova I.Yu., Travin A.V., Watanabe T.
Издание: International Association for Gondwana Research, 2002 г., 20 стр. 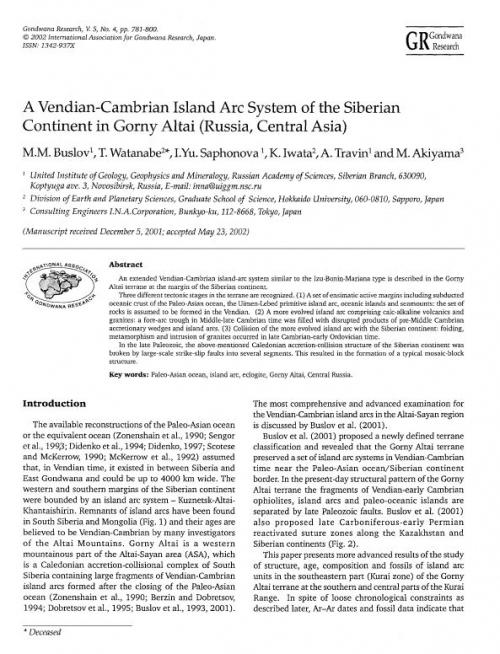 An extended Vendian-Cambrian island-arc system similar to the Izu-Bonin-Mariana type is described in the Gorny Altai terrane at the margin of the Siberian continent. Three different tectonic stages in the terrane are recognized. 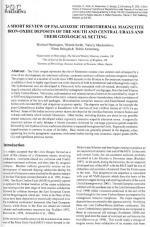 (1) A set of ensimatic active margins including subducted oceanic crust of the Paleo-Asian ocean, the Uimen-Lebed primitive island arc, oceanic islands and seamounts: the set of rocks is assumed to be formed in the Vendian. (2) A more evolved island arc comprising calc-alkaline volcanics and granites: a fore-arc trough in Middle-late Cambrian time was filled with disrupted products of pre-Middle Cambrian accretionary wedges and island arcs. (3) Collision of the more evolved island arc with the Siberian continent: folding, metamorphism and intrusion of granites occurred in late Cambrian-early Ordovician time. In the late Paleozoic, the above-mentioned Caledonian accretion-collision structure of the Siberian continent was broken by large-scale strike-slip faults into several segments. This resulted in the formation of a typical mosaic-block structure. Издание: Panstwowe Wydawnictwo Naukowe, Warszawa, 1975 г., 139 стр. Relatively frequently found, the specimens of Homalonotinae are, in general, poorly preserved and, therefore, they are among the groups of trilobites that have so far been rather insufficiently studied. Since their occurrence is limited to the Llandovery through Middle Devonian, they may serve as a good index fossil. 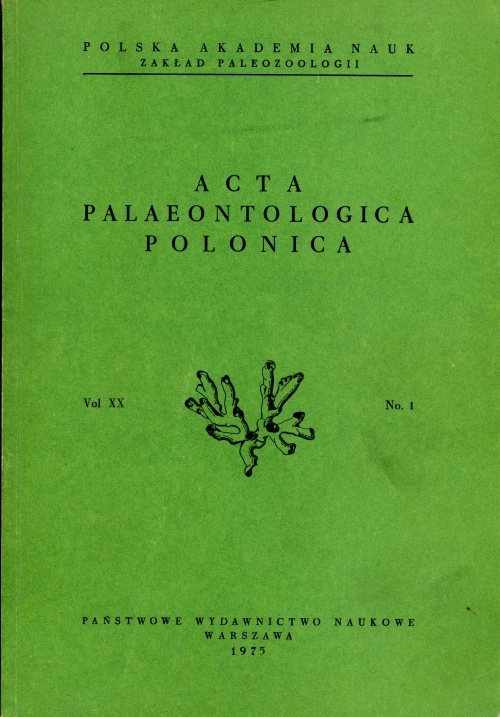 Their paleogeographical and correlative importance in the Upper Silurian and Lower Devonian was discussed separately (Tomczykowa, 1974). Advanced mineralogy. 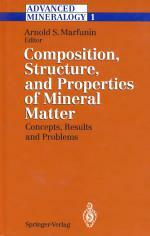 Composition, structure and properties of mineral matter. 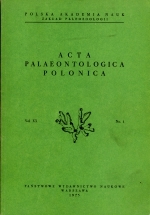 Vol 1. All existing introductory reviews of mineralogy are written according to the same algorithm, sometimes called the "Dana System of Mineralogy". Even modern advanced handbooks, which are certainly necessary, include basic data on minerals and are essentially descriptive. 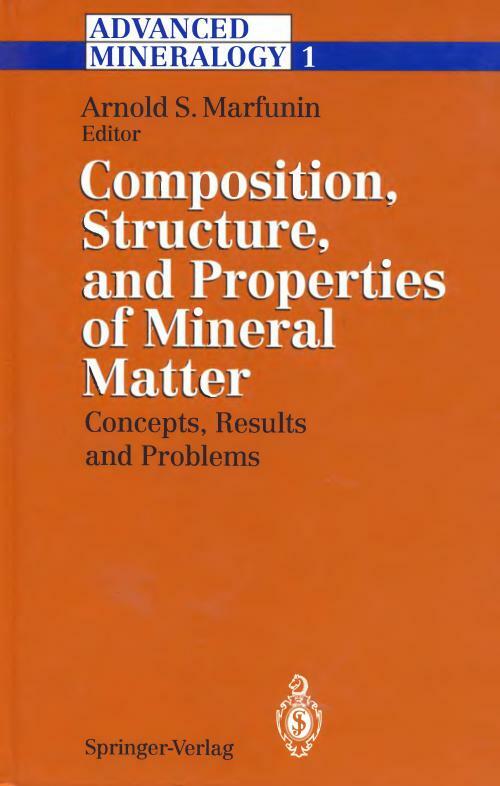 When basic information on the chemistry, structure, optical and physical properties, distinguished features and para-genesis of 200-400 minerals is presented, then there is practically no further space available to include new ideas and concepts based on recent mineral studies. A possible solution to this dilemma would be to present a book beginning where introductory textbooks end for those already familiar with the elementary concepts. Such a volume would be tailored to specialists in all fields of science and industry, interested in the most recent results in mineralogy. This approach may be called Advanced Mineralogy. Here, an attempt has been made to survey the current possibilities and aims in mineral matter investigations, including the main characteristics of all the methods, the most important problems and topics of mineralogy, and related studies. The individual volumes are composed of short, condensed chapters. 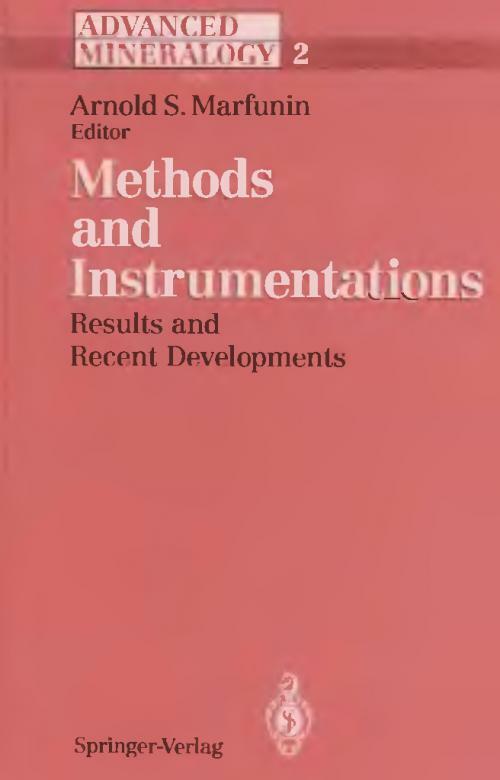 Each chapter presents in a complete, albeit condensed, form specific problems, methods, theories, and directions of investigations, and estimates their importance and strategic position in science and industry. 1. 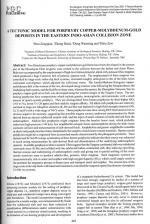 The logical completion of developing and elaborating the methods, i.e. determining all physical principles based on a single, general, multifaceted phenomenon: the interaction of radiation (particles) with matter. These interactions and hence these methods can be presented schematically by two coordinates. One is energy (or wavelength of radiation) and parts of the electromagnetic spectrum (nuclear, X-ray and electron, UV, visible, IR, microwave, SHF and RF). The other coordinate is represented by the modes of interaction (spectroscopy-absorption, emission, scattering-diffractometry, microscopy). The various intersection points in this system of coordinates have already been determined and elaborated in detail according to theoretical and instrumentational aspects. 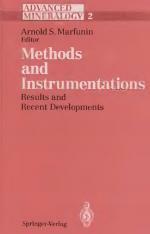 Автор(ы): Cooke D.R., Holliday J.R.
Издание: Ore deposit and exploration technology, 2007 г., 19 стр. 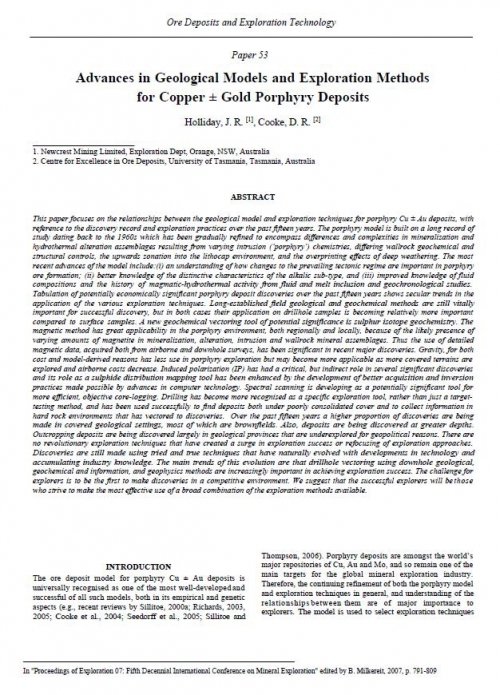 This paper focuses on the relationships between the geological model and exploration techniques for porphyry Cu ± Au deposits, with reference to the discovery record and exploration practices over the past fifteen years. 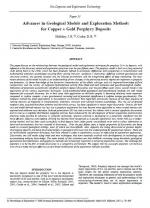 The porphyry model is built on a long record of study dating back to the 1960s which has been gradually refined to encompass differences and complexities in mineralization and hydrothermal alteration assemblages resulting from varying intrusion (‘porphyry’) chemistries, differing wallrock geochemical and structural controls, the upwards zonation into the lithocap environment, and the overprinting effects of deep weathering. Автор(ы): Altunina L.K., Beaubien S.E., Lombardi S.
2. The book is divided into 5 parts. 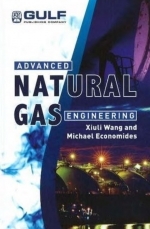 Part 1 provides background by describing how human activities are modifying the atmosphere in industrially-active areas in Siberia. Part 2 outlines the innovative idea of using deep permafrost layers as either impermeable boundaries below which CO2 can be injected or as a cooling source for the formation CO2 clathrates. 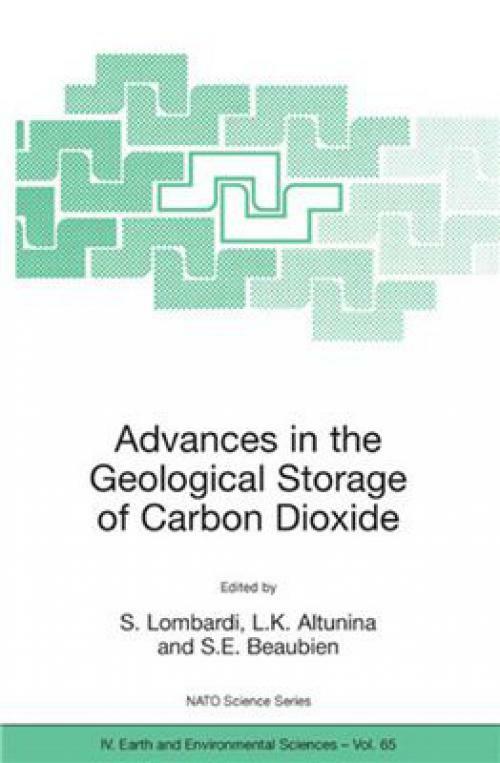 Part 3 describes recent studies conducted on naturally occurring CO2 reservoirs, sites which have the potential to help us understand the possible long-term evolution of CO2 storage sites. 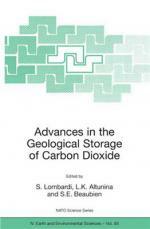 Part 4 outlines various industrial-scale applications of CO2 geological storage and shows it to be technically practical, economically feasible and, to date, very safe. Finally Part 5 gives us a view of the future, showing how energy uses are predicted to change over the next 50 years and how the public must be involved in any future decisions regarding climate change abatement. 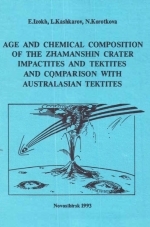 Автор(ы): Изох Э.П., Кашкаров Л., Короткова Н.
ТЬе Zhamanshin impact ci'ater is the only impact crater оп the Earth where impactites, various tektites and microtektites coexist. Тhus the Crater becomes the best object to solve the old tektite puzzle. Published before and new data оп the radiogenic ages and chemistry of the Zhamanshin tektites and Australasian tektites summarized to demonstrate their close genetic relations. ТЬе tektite age-paradox serves as the base evidence in favor of the exstraterrestrial origin of tektites. Тhe petrographical and petrochemical features of tektites demonstrate their most рсоЬаЫе volcanic origin.